So, you’ve taken the big step – you’ve decided to find a new job or change your career path and you’ve made the smart decision to work with a recruitment agency. And then you receive the great news – you’ve been through the interview process and your potential new employer has made you an offer. The next day, you go to your current employer, resignation letter in hand, determined to resign and move on. Then, defying all your expectations, your employer makes you a counter offer. And you feel obligated to stay or to at least consider staying. But you might be making a big career mistake. Counteroffers are often a panic reaction. We’re living in a tough economy and it’s difficult to find good employees. 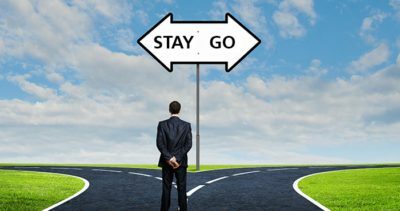 In many instances of resignation, employers panic at the thought of a good employee leaving and all the paperwork that goes along with hiring someone new so they make a counter offer. This means that what you might think of as sudden recognition is actually based on the inconvenience of a good employee leaving rather than on truly responding to your career needs or value. Giving you more, whether in time or benefits, might lead to resentment on your employer’s part at a later stage as they might feel blackmailed by having to make you a counteroffer to secure you. Potential damage to your reputation. Considering a counteroffer might jeopardize your position with a future employer – they might question your integrity and whether you are serious about moving into a new organisation as you changed your mind once before. If you do accept the offer and stay in your current position after resigning, you might be putting yourself in an awkward position with colleagues and management who will know that you have decided to stay based on a counter offer. If that offer includes a promotion or other work benefits, your colleagues might wonder if you truly deserved them. Need impartial career advice? We can help! As expert recruiters, we help our candidates find the right positions to grow their careers. Contact us and let us guide you in your next big career move.